This rhyton is made in the marine style. In this style, the tendency to zoning is dropped and a new repertoire of sea-creatures is introduced. 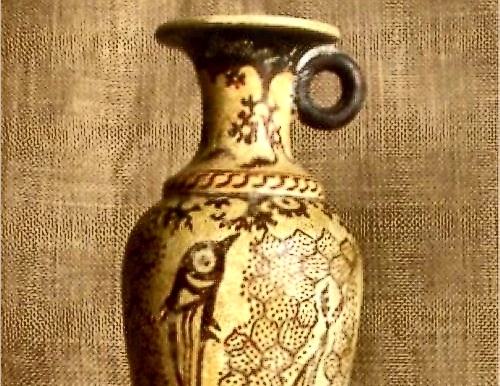 Corals, seaweed and sponges over the whole vase were one of the most successful in Cretan art.1200 BC. Archaelogical Museum of Heraklion, Greece. Don't know what an rhyton is? Check our Greek Pottery Glossary!